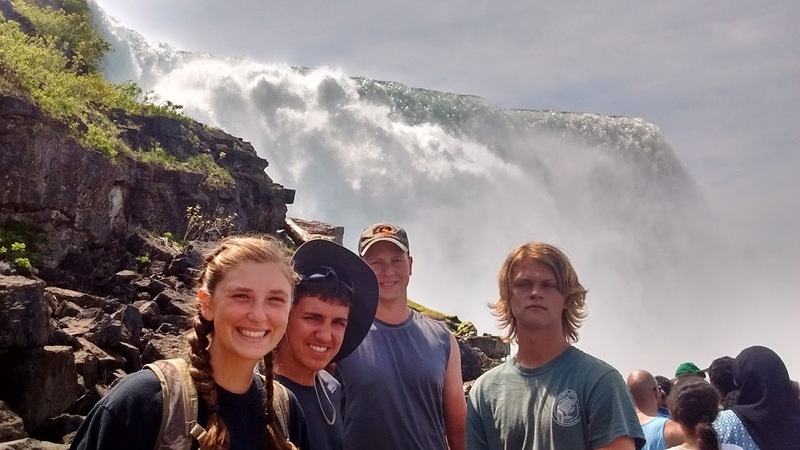 The SEA SCHOLARS spent the day at Niagara Falls Park hosted by the Niagara Region Interpretive Programs Office. Mike provided us with "rock star" status; parting the crowds for us and moving us through the high-traffic areas with ease. Lines and crowds that would have taken us all day to pass through took us only an hour or so and allowed us to see all of the sights of the American Falls. From our vantage point, the falls were so tall, it looked like they were coming out of the air! Eric then led us on a 3.5-hour guided tour of the Niagara Gorge from Devil's hole to the flats along some of the most dangerous Class VI rapids in North America. We learned that about 50% of the water is diverted through power plants above the falls so these rapids would have been even more powerful with 100% flow through the Niagara River. The Niagara Gorge is a beautiful example of sedimentary rock geology. We learned that the hardest rock (dolostone) is the top layer with various layers of limestone, shale, and sandstone beneath. As we looked along the gorge, we could see the evidence of these layers in the different colors and textures. Parts of the cliffs have fallen away, leaving their marks along the river in the form of huge boulders the size of houses! 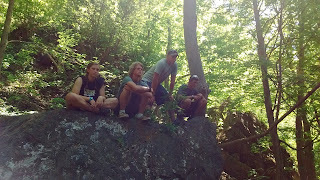 It is amazing how many people were viewing the falls yesterday but very few were hiking along the gorge with us. 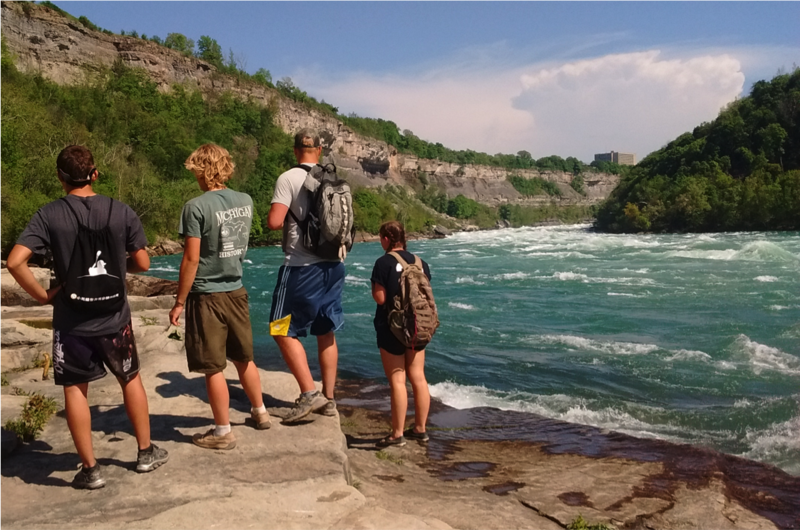 While Niagara Falls are spectacular, we are so glad that we extended our visit to enjoy the beauty of the gorge. Thanks to Susan, Mike, Eric, Justin, and Barry for making this an amazing day of exploring the power of Nature! Last Wednesday afternoon we took off from North Carolina. We ended up having to leave Beaufort a day early in order to keep ahead of a storm rolling in and sailed for four days before arriving in Atlantic City, New Jersey. There we stayed almost 4 days! 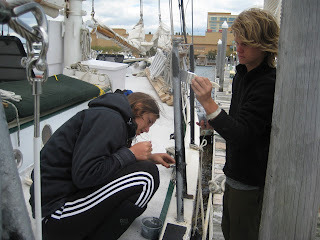 In Atlantic City we beautified the boat. 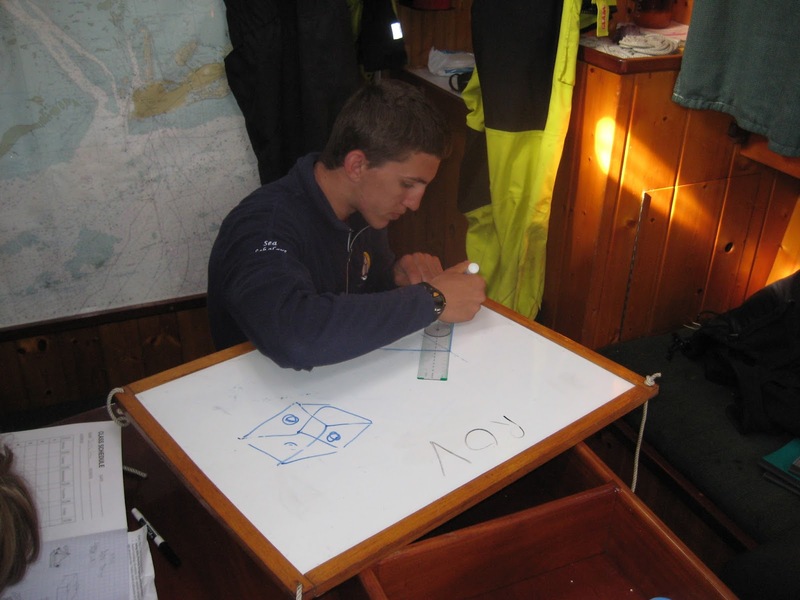 We had a few very productive workdays to get the Appledore V sparkling. 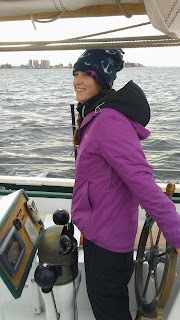 After finishing work on the boat there was some extra time to explore! We got to check out the famous Atlantic City boardwalk and even eat ice cream. 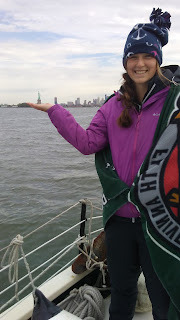 We left New Jersey Tuesday afternoon and made our way towards the big apple. Arriving in New York was awesome and the views were amazing; I even took the helm for part of our entrance to New York Harbor! Even with me at the helm, we did arrive a little later than anticipated. We arrived at our dock around noon so we had a packed day ahead of us. Our first stop was the 9/11 memorial. We checked out the two memorial fountains and got to see the new Freedom Tower. 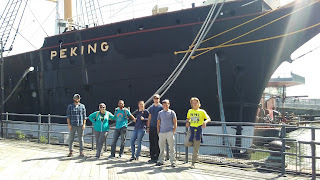 Then we walked over to the South Street Seaport Museum where we got to see a huge ship; a Barque called Peking. We watched a movie about this ship and its journey around Cape Horn on the way to New York so it made being on the actual ship even better. We caught some lunch after the Peking at a true New York Pizza shop! Then, we rushed over to the American Museum of Natural History but we could only stay for a half hour because it was closing. Next, we walked by central park to Time Square and got on one of those huge double decker tour buses. We toured the city just as all the buildings were being lit up. The view was amazing! We finished the night out with some more pizza before heading to the souvenir shops! Now, we are casting lines from New York City and headed to Albany where the crew will strike the rig in preparation for the Erie Canal! The ROV (Remote Operated Vehicle) Engineering Challenge is On! 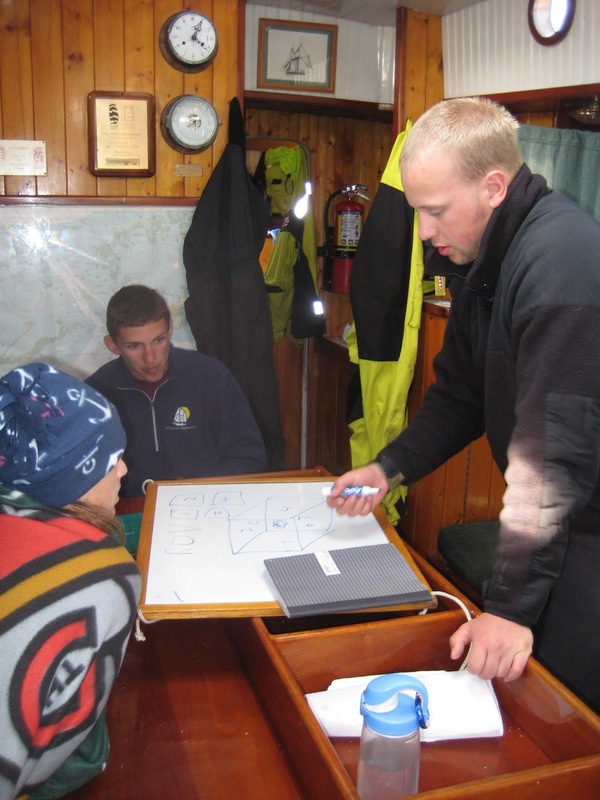 One of the challenges the SEA SCHOLARS face is to design a solution to a problem that requires an ROV to solve. This may be sampling sediments from beneath one of our dock areas; chasing down plankton with a net; or capturing photos of Appledore V's hull. 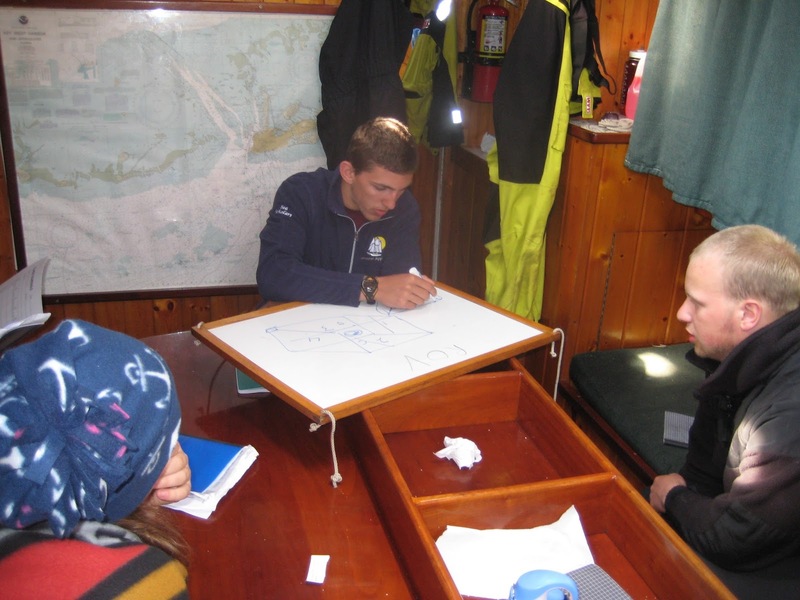 It's critical to have a detailed design in place before the SEA SCHOLARS can complete a materials list and start building the ROV. Noah and Kirill rise to the occasion by taking up pen, ruler, science notebook, and whiteboard. The rest of us can't wait to see what they come up with! Stay tuned to see the results of their labors with an ROV ready to explore portions of the Great Lakes Waterway! The journey from Key West, Florida to Bay City, Michigan has been nothing less than exciting. From the start, going through airports and going on flights was much different than my usual travels, and meeting seven people who I would end up living with for a month was very interesting. 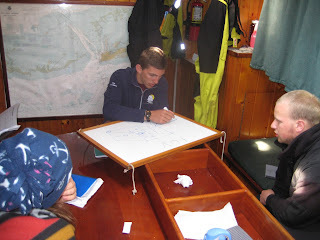 After living on the sea for a few days, everything started to become routine: eating at certain times, being on watch for four hours at a time, sleeping and doing homework, and then going back on watch. Seeing dolphins has also become a constant, with a pod of either spotted or bottlenose dolphins swimming alongside the bow of our boat almost daily. Other than the occasional surprise, it's been pretty smooth sailing. From steering the ship with Captain Noah to sitting on the bowsprit with Kelly and First Mate Kat, we've all been working together as a team and getting along just great. 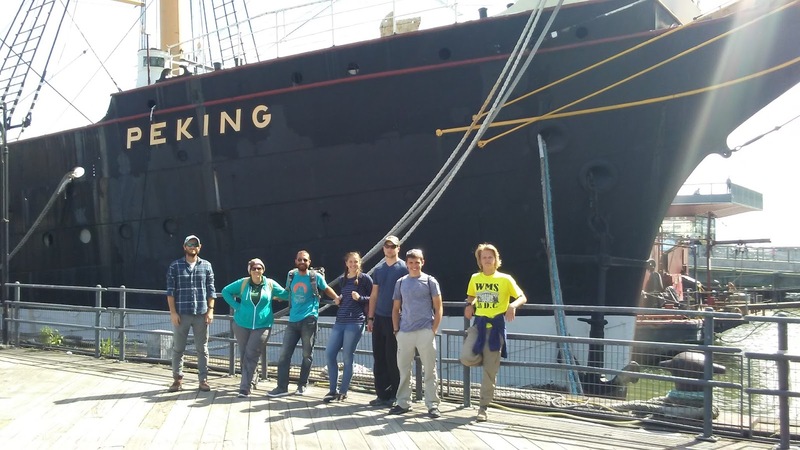 We leave for New York City today and, to get ready, the crew put us to work cleaning and polishing the whole ship! Appledore V is looking great and ready to sail proudly with us aboard into New York Harbor in about a week! The trip started off hot. We first went to the dolphin research center, I was amazed on how the Dolphins listened to their trainer. After that we then went to the sea turtle hospital and learned all about sea turtles. After we left the turtle hospital our boat trip really began. My first impression of the ship was that the ship is way smaller than the Appledore IV. The one we practiced on in Bay City. Our beds are really small, my feet hang over the edge and I am only five and a half feet tall. 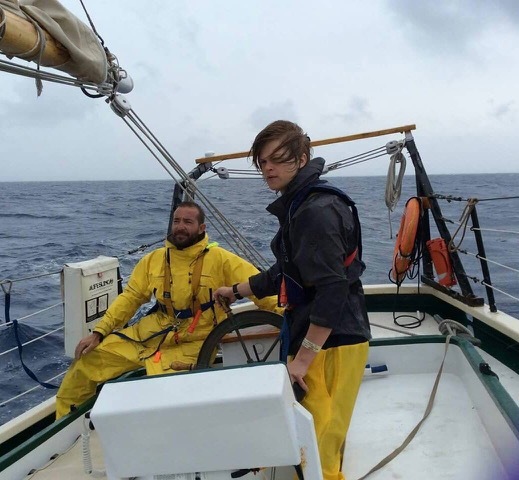 The first few days at sea were really rough. We ran into a storm and it rained all day. We saw dolphins, sea turtles, flying fish, and much more at sea. Now we are at St Augustine in northeast Florida taking a break from the weather before heading to Beaufort, NC. 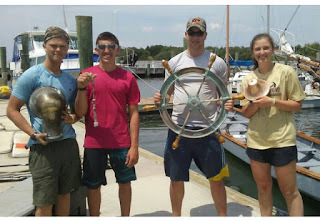 SEA SCHOLARS Blog Is Ready to Go Live! 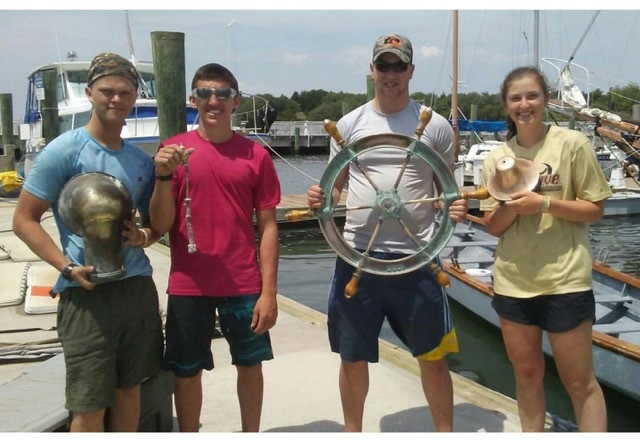 Just the first of many SEA SCHOLARS photos that will be published over the next month.